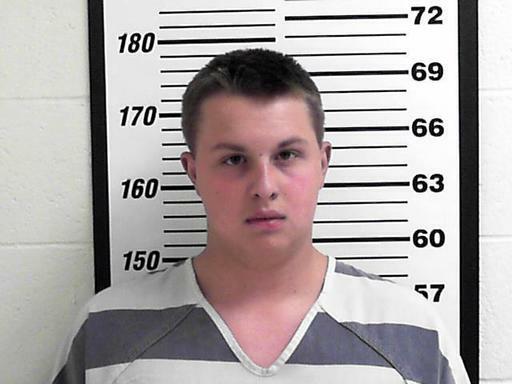 SALT LAKE CITY (AP) — The police officer knew something was wrong after he took three sips of the lemonade he ordered from a drive-thru sandwich shop in northern Utah. He struggled to find the brake pedal of his patrol car at a red light. When he arrived at the police station in the city of Layton, he drifted off and couldn’t answer questions. His colleagues sent him to the hospital Monday and later found out the police sergeant’s drink had been spiked with methamphetamine and THC. Investigators believe it was done intentionally by an 18-year-old Subway employee, who was arrested on suspicion of surreptitiously giving a poisonous substance. Tanis Ukena denied the allegations but acknowledged what investigators learned after watching surveillance video: He was the only one to prepare and handle the beverage. He posted $10,000 bail and left jail. He has not been formally charged yet, and it’s not known if he has an attorney. No listed phone number for him could be found. The unnamed sergeant was released from the hospital Monday night and was taking Tuesday to recover, but he was expected to be fine, police Lt. Travis Lyman said. Investigators don’t know why Ukena drugged the drink but are investigating if the sergeant was targeted because he’s a police officer, Lyman said. He said officers generally enjoy a good relationship with residents in the city of 74,000 people north of Salt Lake City, but animosity and distrust of police has been growing around the country in the wake of a number of officer-involved shootings. “It’s not a reach to make that connection based on the climate right now,” Lyman said. Subway spokesman Shawn Cook said the company is cooperating with authorities and hoping the sergeant makes a quick recovery. Cook would not say if Ukena is still employed. Lyman said police have not had any previous problems with the Subway or with Ukena, outside of stopping him for speeding. The state crime lab is testing the drink to determine the amount of drugs it contained. The incident has raised eyebrows for Layton police officers who commonly eat at drive-thrus as they move from call to call, Lyman said. Did you want fries with that THC? Does not look good for Ukena…..we will see how this develops. 2nd degree felony one to ten years and $10,000.00 fine. This is why the death penalty was invented. Except the kid is innocent. This was absolutely stupid ! I’m sure come court date he won’t be anywheres near the court house ! Wth? They found THC in his drink or food? Um nope. Meth maybe but then he would have been hyperactive not impaired so badly that he couldnt answer questions (how convenient). I personally think that kid needs to get a lawyer who specializes in wrongful accusations. Why else havent they pressed charges if they werent suspicious that maybe he was reaponsible for just one of those illegal substances in the officer. I hope the cop gets the stiff end of the stick if they find out that he just got smashed off some medical marijuana and then played stupid as he framed the kid. Cops are human they are bound to make bad decisions like everyone else. Unfortunately for an officer to abuse his power and force this kid to take the fall?! Egregiously disgusting. God knows how many times I heard that happen back in Desert Hot Springs California. Until they replaced the whole PD.